Fri., April 12, 2019, 2:54 p.m.
Svechnikov became the youngest player in 22 years to score twice in a playoff game and the third teen to put up two goals in NHL postseason history after Pierre Turgeon in 1988, Eddie Olczyk in 1985 and Don Gallinger in 1943. The 2018 second overall pick will try to help Carolina even its first-round series against Washington in Game 2 Saturday (Noon PT, NBC). 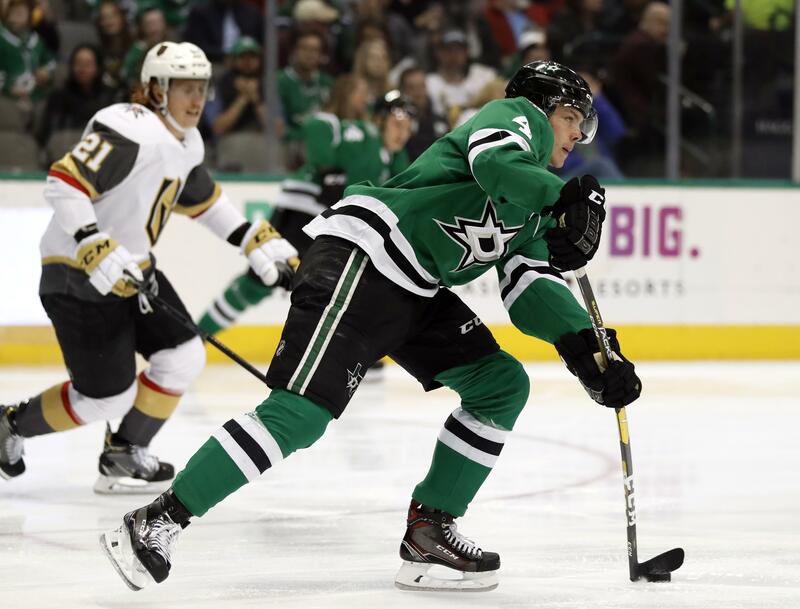 The Stars won in Nashville thanks in large part to Heiskanen’s goal and assist in Game 1. At 19 years, 266 days old, he became the youngest defenseman in franchise history to score in the playoffs and the fifth teenage rookie defenseman with two points in his postseason debut. Coach Jim Montgomery would love to see Heiskanen and 22-year-old rookie Roope Hintz play like this for several more weeks. Game 2 in Nashville is Saturday (3 p.m. PT, CNBC). In Boston, the Bruins have to be better in Game 2 (5 p.m. PT, NBC) on Saturday after losing the series opener on home ice. Marner was a big part of that with his two-goal game, including being just the fifth player to score a shorthanded goal on a penalty shot in the playoffs. In Calgary, Tkachuk’s two goals a series-opening victory against the Colorado Avalanche snapped his six-game goal drought, though the 21-year-old’s agitating ways stuck as much as his scoring. Teammate Andrew Mangiapane, 23, also scored in his playoff debut and the West’s top seed is off and running with Game 2 Saturday night in Calgary (7:30 p.m. PT, NBCSN). Published: April 12, 2019, 2:54 p.m.